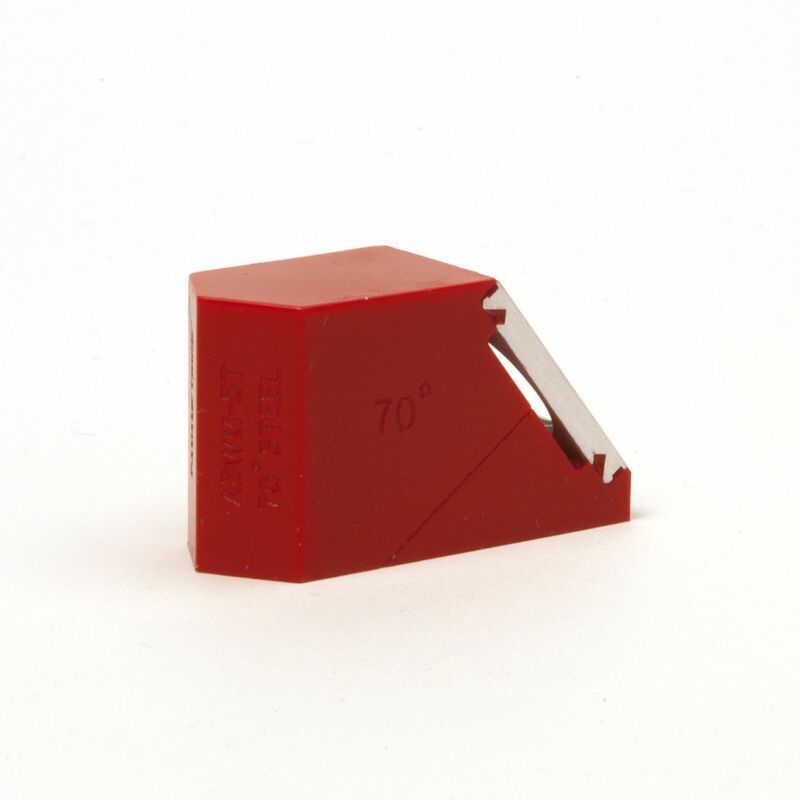 Miniature Angle Beam Transducers and Wedges are used primarily for testing of weld integrity. 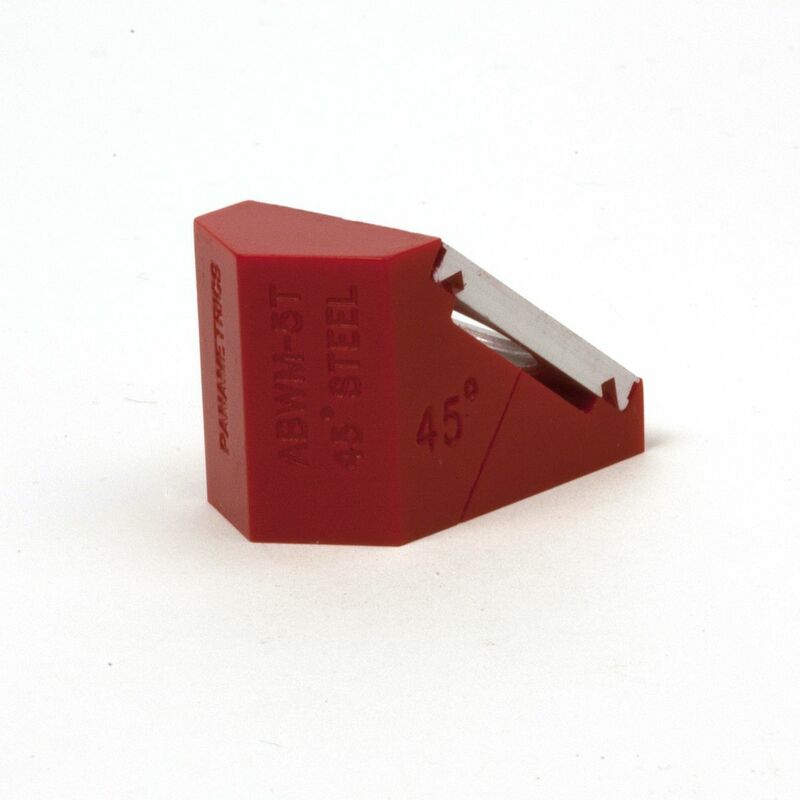 Their design allows them to be easily scanned back and forth and provides a short approach distance. 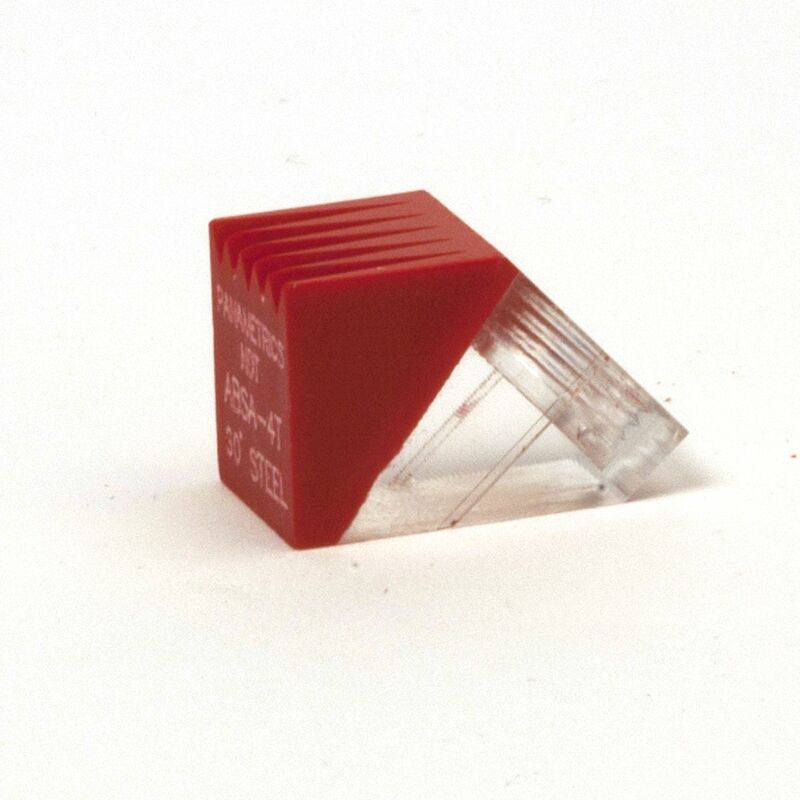 Angle beam transducers are single element transducers used with a wedge to introduce a refracted shear wave or longitudinal wave into a test piece. 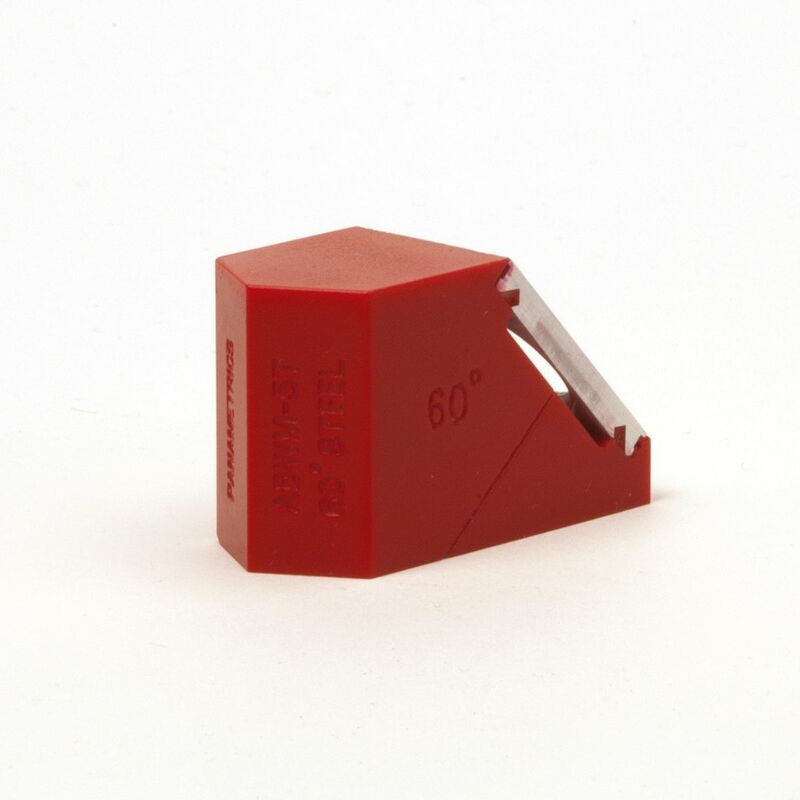 \*Accupath Wedges are available in standard refracted shear wave angles of 30°, 45°, 60°, and 70° in steel at 10 MHz. 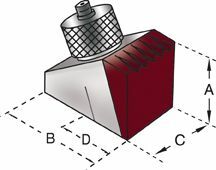 This wedge configurator contains only 1-5 MHz Miniature Screw-in Short Approach, Accupath, High Temp, Very High Temp, and Surface Wave wedges. 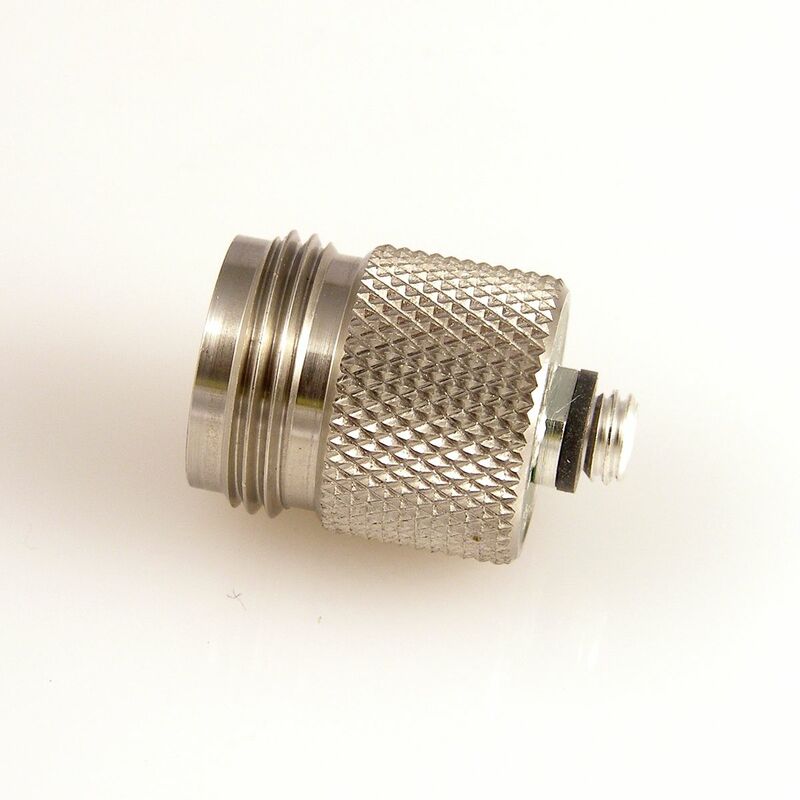 To view 10 MHz Miniature Screw-in, visit this chart. 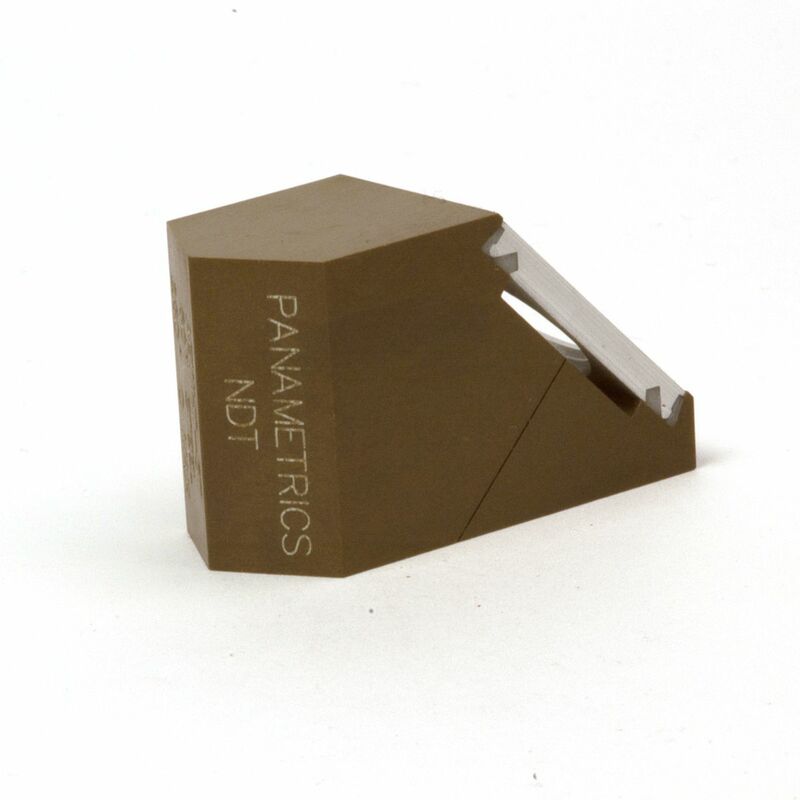 *Accupath Wedges are available in standard refracted shear wave angles of 30°, 45°, 60°, and 70° in steel at 10 MHz. 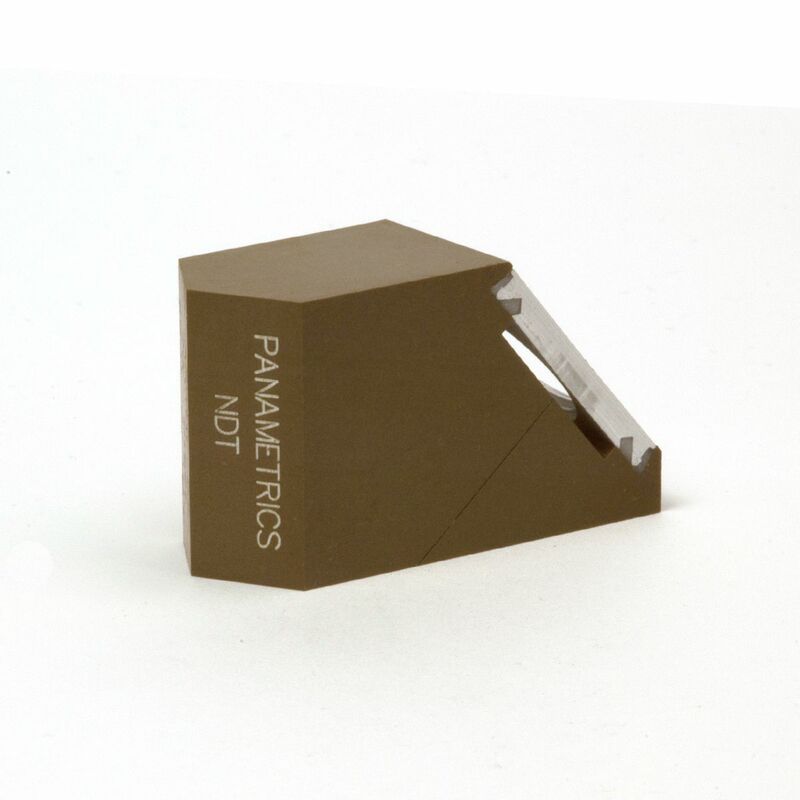 Miniature short approach screw-in wedge for 0.25 in transducer, designed to produce 45 degree refracted shear wave. 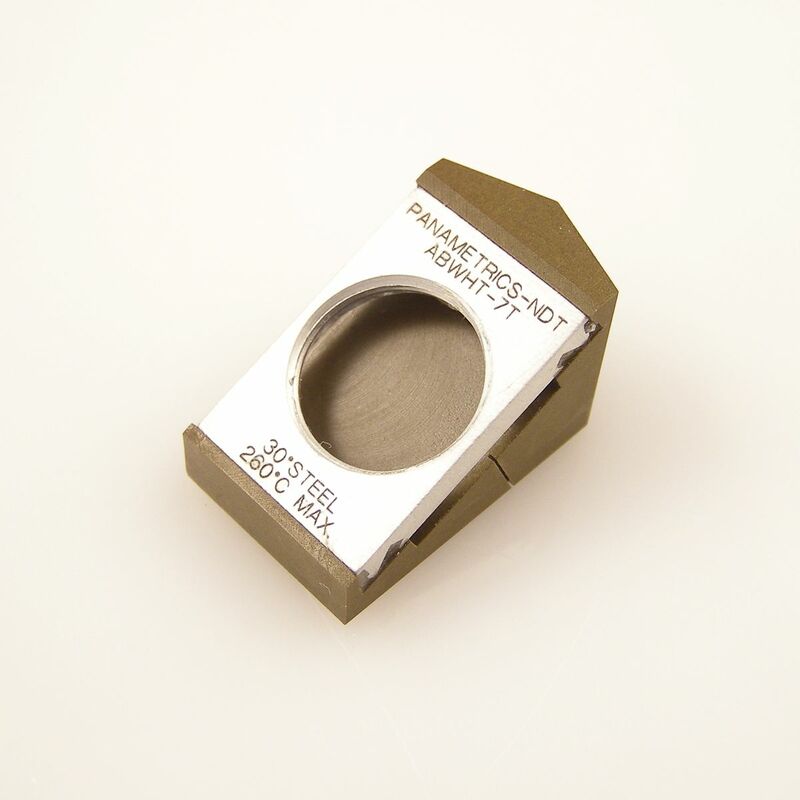 Miniature short approach screw-in wedge for 0.25 in transducer, designed to produce 60 degree refracted shear wave. 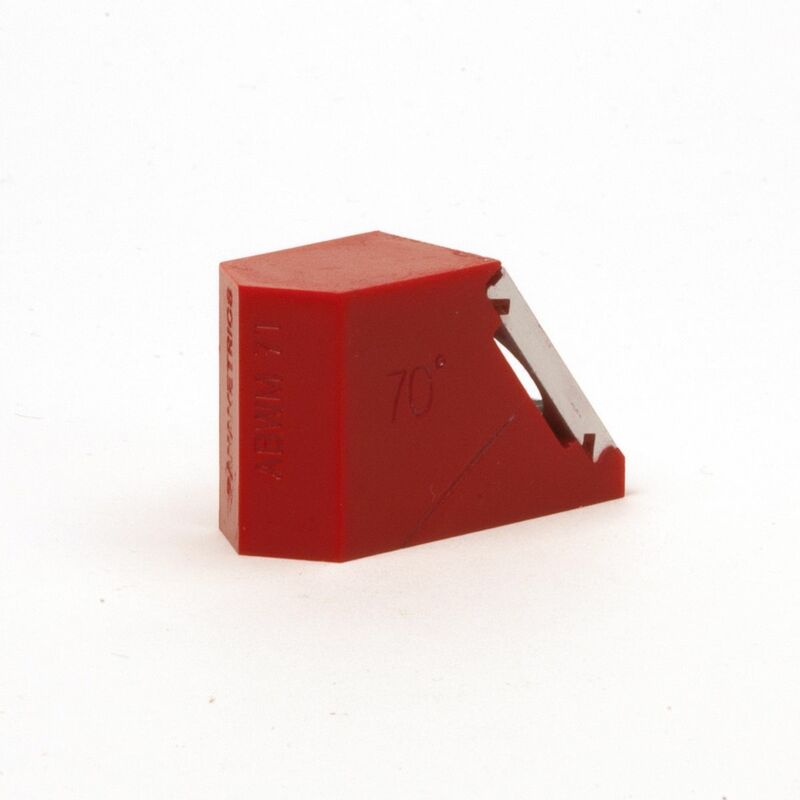 Miniature short approach screw-in wedge for 0.25 in transducer, designed to produce 70 degree refracted shear wave. 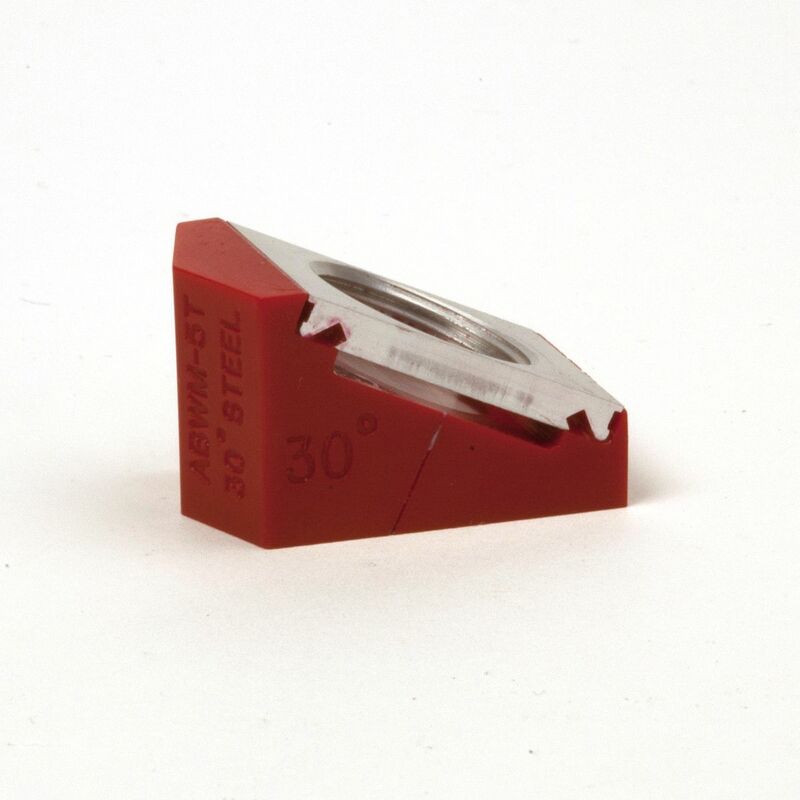 Miniature short approach screw-in wedge for 0.375 in transducer, designed to produce 45 degree refracted shear wave. 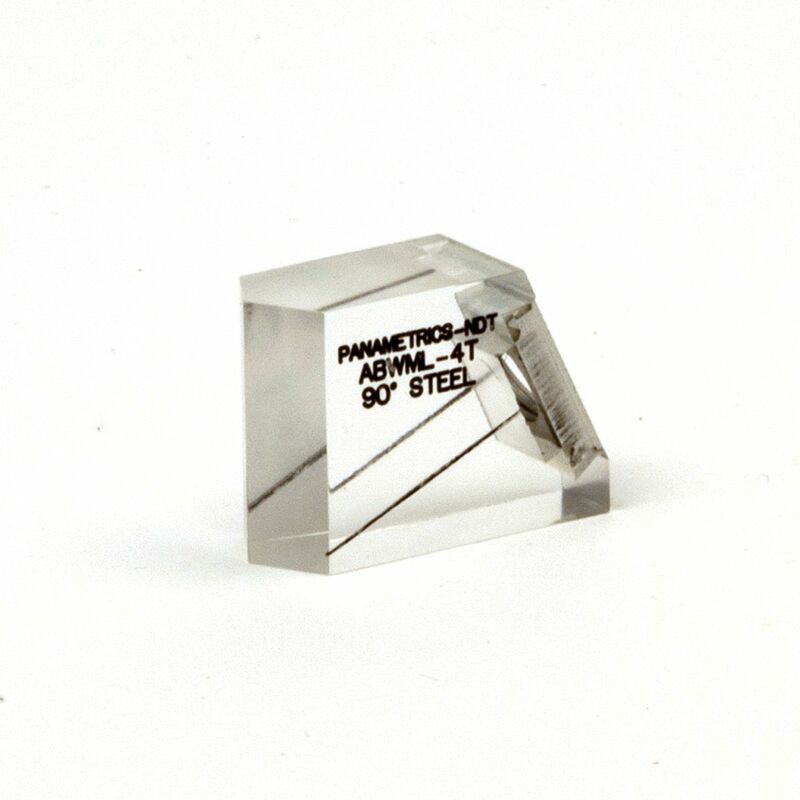 Miniature short approach screw-in wedge for 0.375 in transducer, designed to produce 60 degree refracted shear wave. 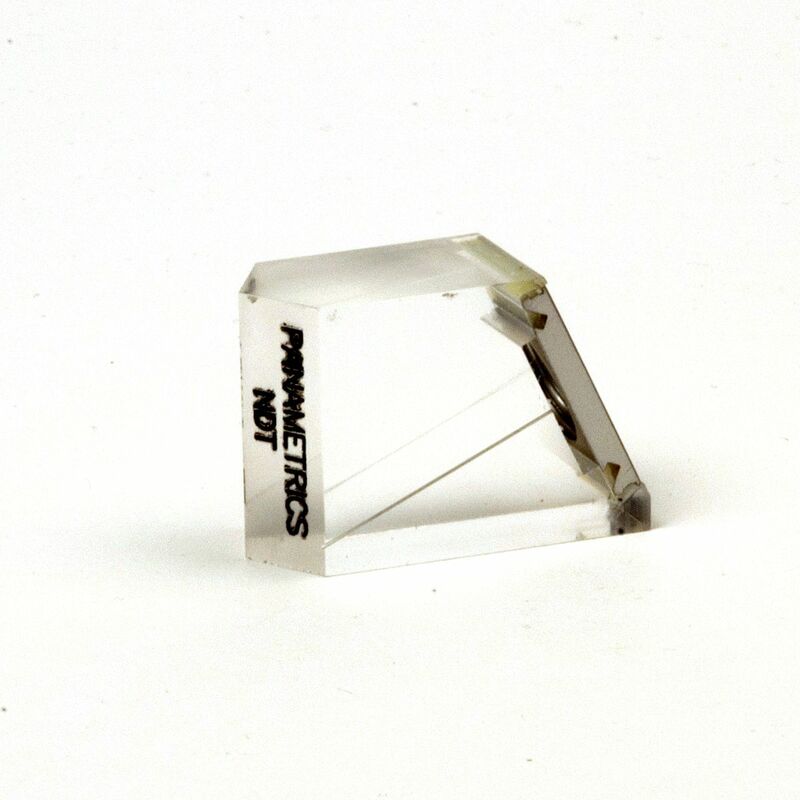 Miniature short approach screw-in wedge for 0.375 in transducer, designed to produce 70 degree refracted shear wave. 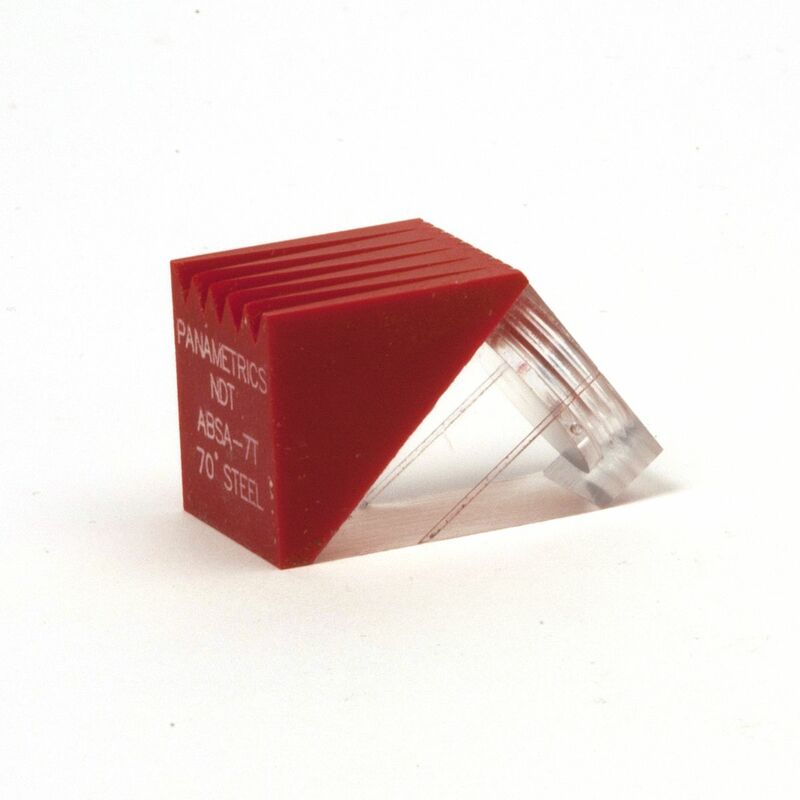 Miniature short approach screw-in wedge for 0.50 in transducer, designed to produce 45 degree refracted shear wave. 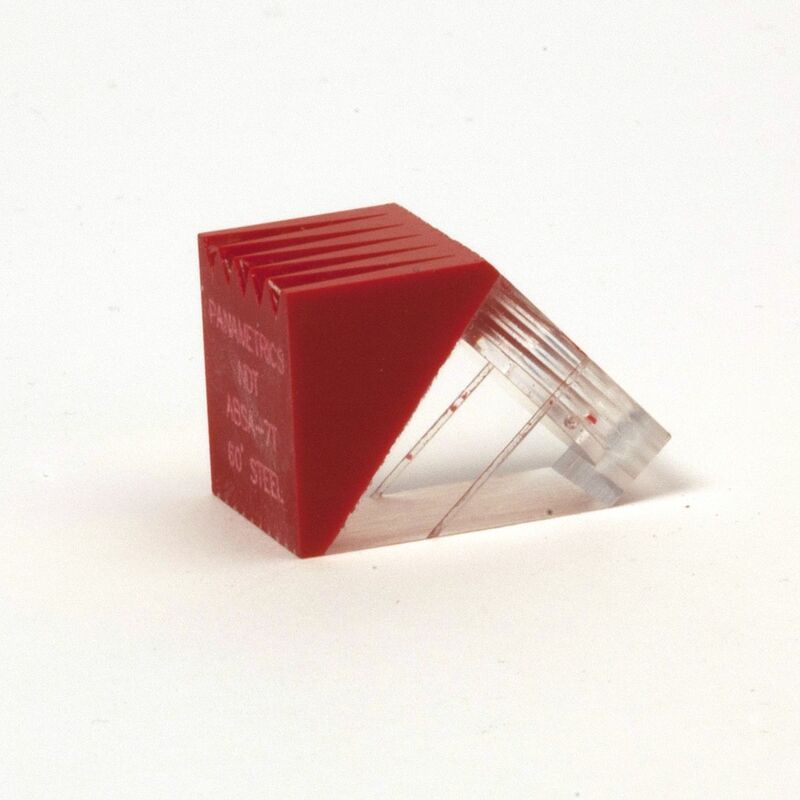 Miniature short approach screw-in wedge for 0.50 in transducer, designed to produce 60 degree refracted shear wave. 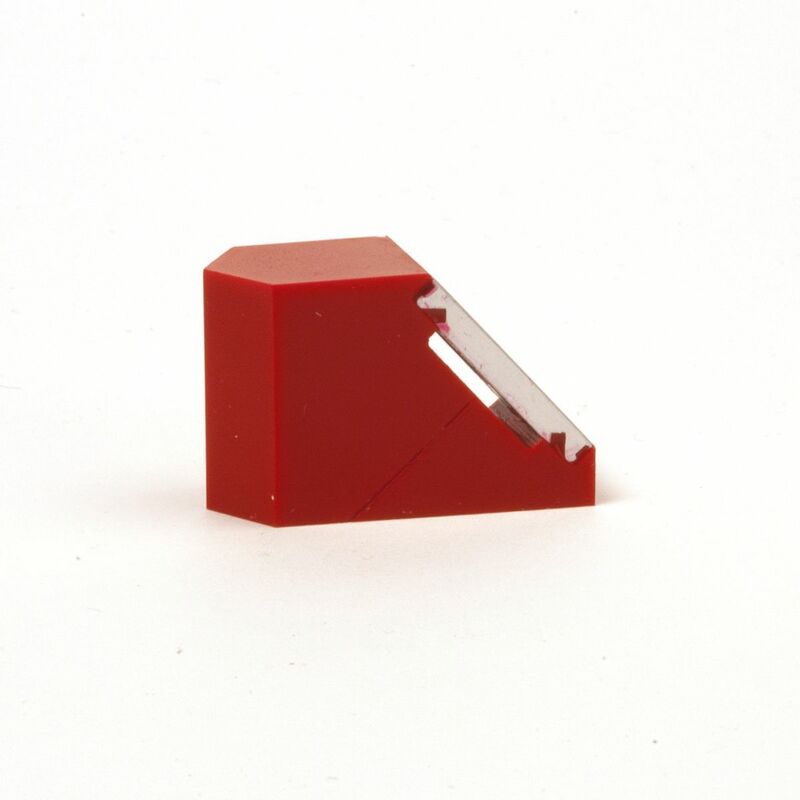 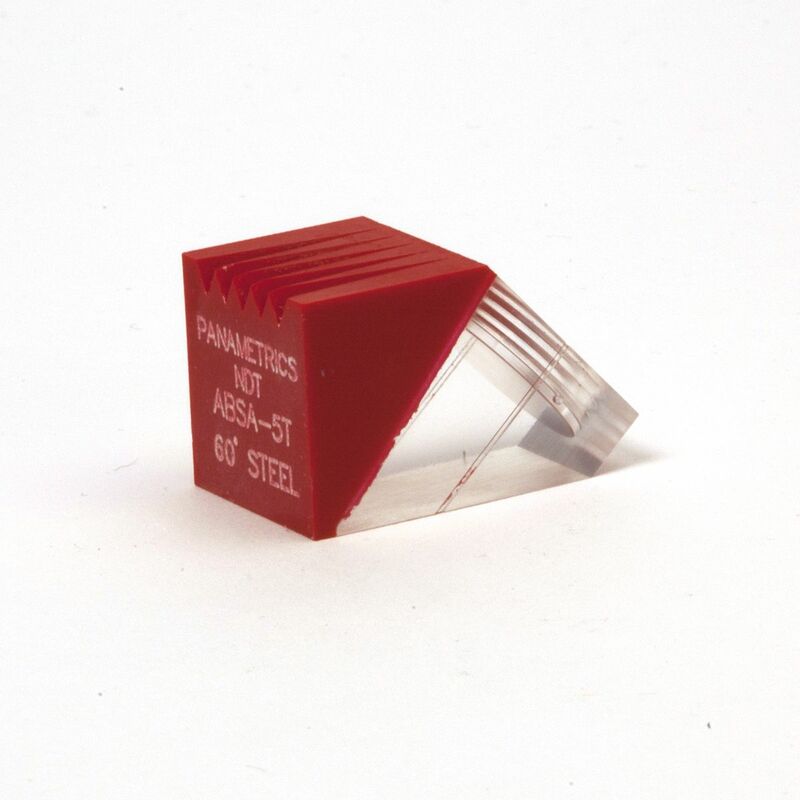 Miniature short approach screw-in wedge for 0.50 in transducer, designed to produce 70 degree refracted shear wave.